It’s become an annual tradition for the Marvel Unlimited service to offer an exclusive Hasbro Marvel Legend figure for their “Unlimited Plus” membership tier. This year’s figure was Tony Stark, a toy I really meant to review but eventually forgot. 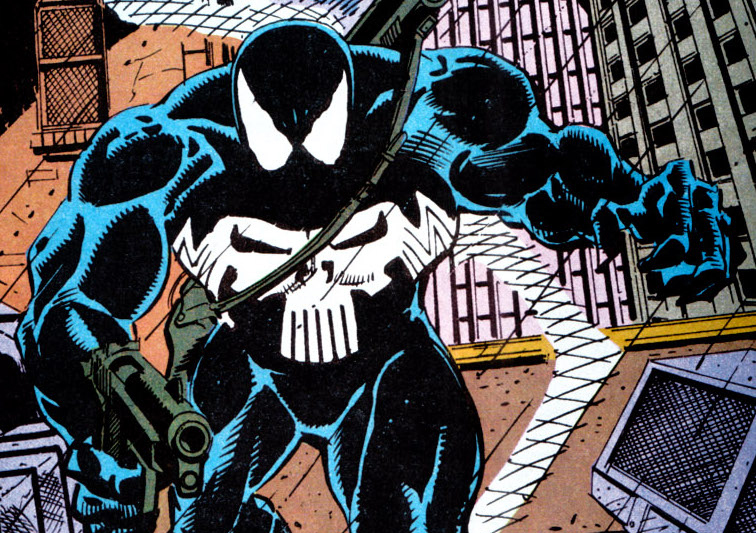 The 2019 figure will be a cool little treat for those ‘What If’ fans: Venomized Punisher. Exclusive Hasbro Marvel Legends Venomized Punisher. Two Exclusive Comics with Venomized Covers (Black Panther # 1 and Venom # 1). In addition to those physical items, you will also have access to pretty much the entire Marvel Catalog of comics to read on your computer or other devices, and some discounts to their store. I’ve had the service for years and it’s pretty fantastic. Especially when a new Marvel Legends figure I’m not familiar with is announced, I can usually just look them up and read their related books. If you are interested in the Venom figure, head on over to Marvel Unlimited and see if their service looks interesting to you. Otherwise, there is always eBay and the secondary market.